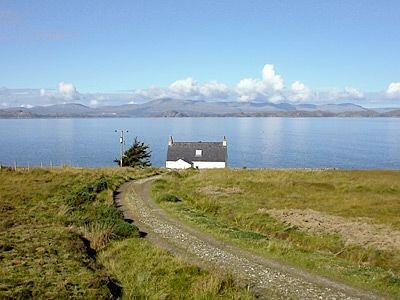 This secluded and spacious cottage with its own walled garden, enjoys a gloriously sunny position on the seashore with spectacular views towards the islands of Raasay, Rona and Skye. 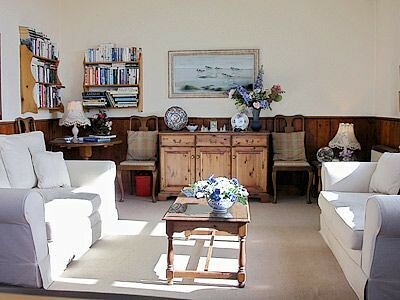 Reached via a quarter-mile track, this former school house has been tastefully converted, whilst retaining interesting original features; formerly classrooms, the living-room and kitchen feature lovely high ceilings, and there is a large picture window in the hall, ideal for viewing wonderful sunsets and abundant wildlife. 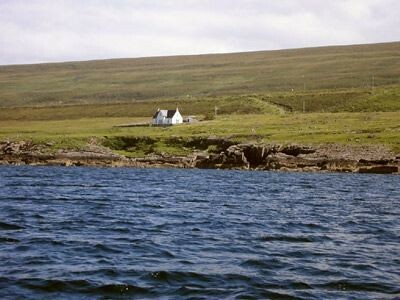 Sandy beaches are to be found at Sand (3 miles) and Applecross Bay (7 miles); the village of Applecross itself has a P.O./local store and a friendly inn serving fresh seafood dishes. The sheltered, fertile coast around the village is idyllic: you can wander along lanes banked with wild iris and orchids, and explore beaches and rock pools on the shore. Fishing and golf are both within driving distance. Shop 7 miles. 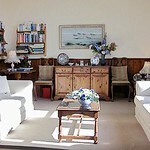 Hall/sitting room with sea view from picture window. 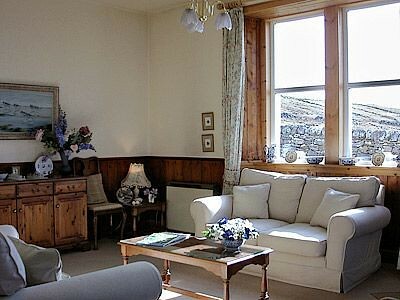 Large, part-panelled living room with open fire and splendid views. Well-equipped, modern fitted, farmhouse-style kitchen/dining room with multi-fuel burner and electric cooker. Bathroom with shower over corner bath and toilet. First floor: Three bedrooms with sloping ceilings; two bedrooms, each with Velux window with sea views, one double with 5ft bed, en-suite bathroom, wash basin and toilet, one twin, and one single. 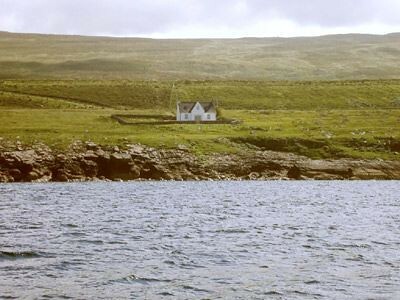 Old school house very remote no mobile or Internet, so great place to get away from it all. Complete peace and quiet apart from sheep, highland cattle and the nightly visit from the pine-Martin. Comfortable and cosy equipped with everything you may need. Oct 2011. We are very sorry because we didn’t leave a message in the visitor book! We loved the cottage. Verry comfortable, all you need and more. En suite to main bedroom a lovely surprise - maybe I missed in the details. Warm and cosy but if weather had been kinder outside and French windows and view would be perfect. Telescope was great. Peace and quiet was great. Can rave on about it enough, it just has "something" - it’s happy! Sept 2011. 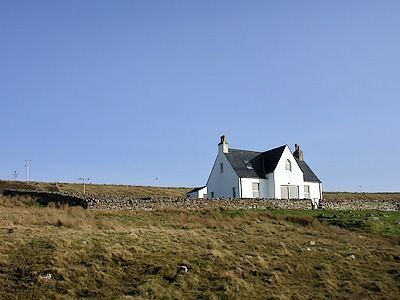 We found the Old School House to be a home from home, set in a fantastic location, with great views and all the necessary ammenties one could require close by. 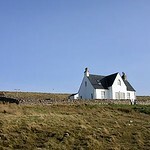 I would happily stay again at the Old School House and would recommend it to anyone. Sept 2011. 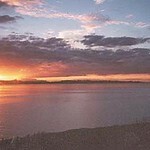 4th comment: Perfect location for a get away from it holiday - total peace and quiet, you can’t help but relax. 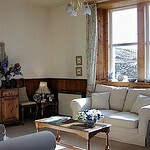 Cottage is well equipped and very warm and cosy if you are not lucky enough to get good weather. April 2011. 5th comment: Wonderful location. Weather can always be variable in Scotland. March 2011. 6th comment: Fantastic location, beautiful views. July 2010. 7th comment: Have visited this property 5 times which says it all. The best holiday cottage we have stayed in. Very lovely old house with lots of equipment ie kitchen, very warm and homely. Superb views and walking. Oct 2009. 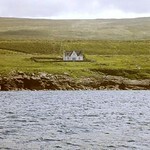 8th comment: Excellent property, superbly presented, in a location that cannot be surpassed. Everything we needed for a get away from it all holiday was there in abundance. The perfect retreat. April 2008. 9th comment: Outstanding, what a cottage. May 2008. 10th comment: The cottage was so well equipped by the owners. Everything from loo rolls to tin foil, even basic foods. Nov 2008. 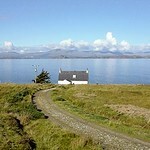 11th Comment A fantastic cottage with the most wonderful views across the Inner Sound. If you are looking for peace and quiet, but like the outdoor life and wildlife encounters then this is the place for you. July 2006. 12th Comment If paradise exists in Britain then this is truly it. 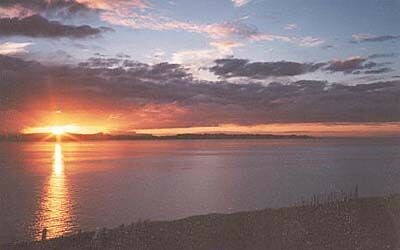 We have travelled extensively around Britain staying in self catering accommodation and this is utopia. Sept 2007.